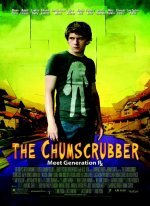 The Chumscrubber Movie Meet Generation Rx. The Chumscrubber release date was Friday, August 5, 2005. "The Chumscrubber" is a surreal cautionary tale about an alienated youth forced to confront the disconnect between parents and teenagers in suburbia, rendered with a razor's edge balance of comedy and drama.